Carved from a single block of wood, the body and lid have bronze moldings applied with small nails on the edges. Attached to the ridgepole of the sloped roof are bird’s-head terminals in green, yellow and red (now brown) enamel and a central boss-repeating the shape of the shrine- with a grid of yellow and green enamel. 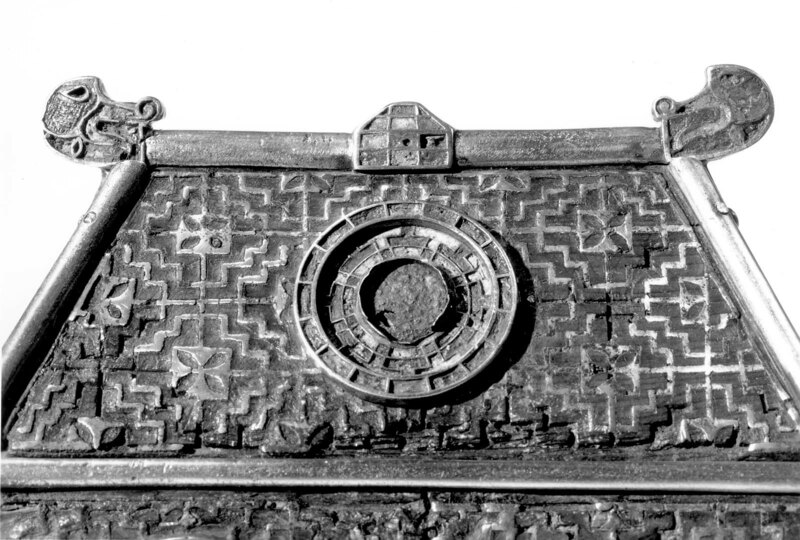 Only the front is decorated with thin strips of a lead-tin alloy hammered into a repetitive step pattern around central crosses engraved in the wood and with three medallions with yellow and green enamel arranged in a geometric pattern of concentric circles. 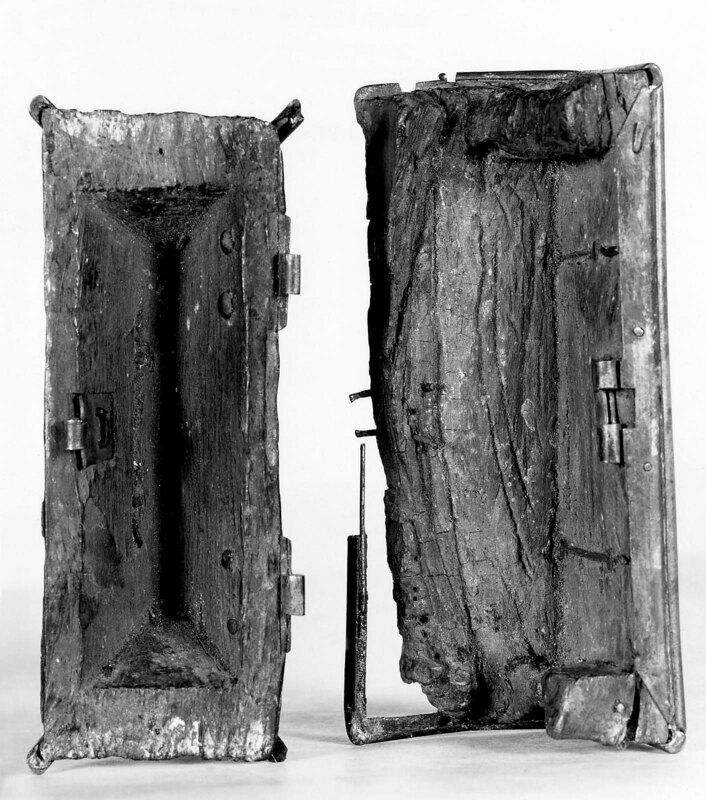 There are two hinges on the back and an interior clasp on the front. 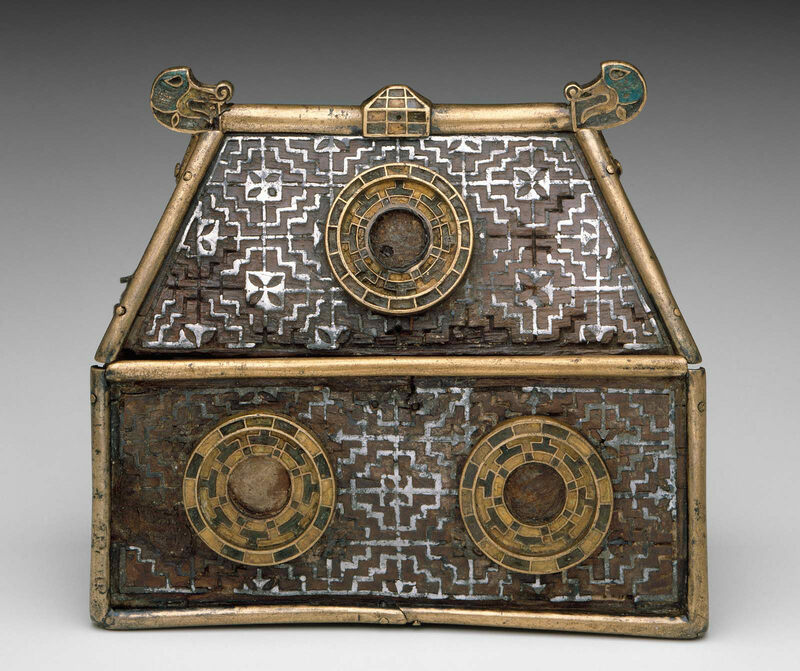 Made to hold the sacred relics of a saint (often parts of the saint’s body), Irish house-shaped reliquaries have been discovered as far away as Norway and Italy—carried there by Irish pilgrims or Viking raiders. 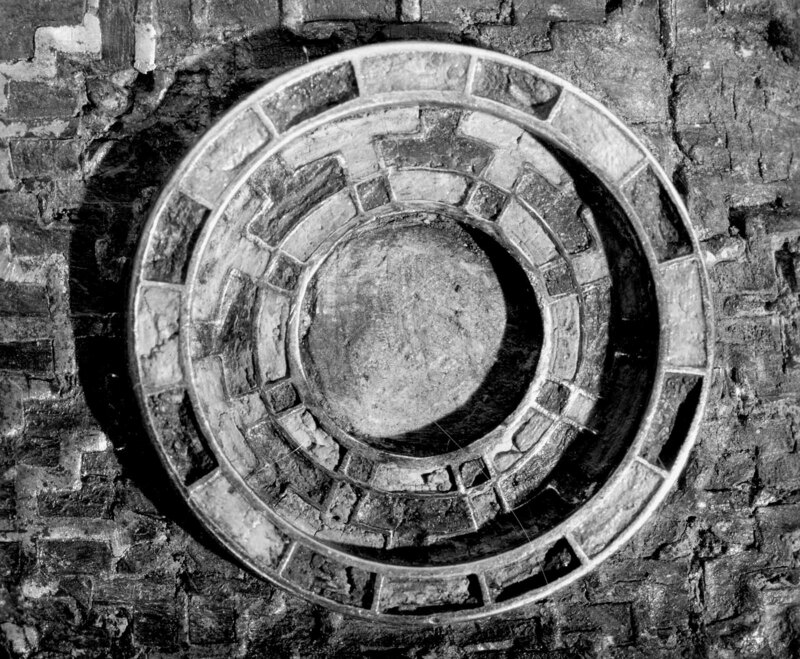 This one, however, was found in Ireland and is named for its nineteenth century owner, Lord Emly of Limerick. It is quite tiny and was probably hung from the neck or shoulder of its owner as a source of protection and spiritual strength. It was in his possession by 1853, when he lent it to the Royal Irish Academy, Dublin.